Zane Hedge is a partner at Accuracy. He specialises in the fields of: forensic delay analysis, planning, project management, claims and contractual advice. Zane has been involved in a wide variety of projects including; building, civil engineering, utilities, residential, retail, commercial, health care, airports, power stations, desalination, process plants and oil & gas. He is a chartered Construction Manager. Zane acts as an expert witness in matters of delay. 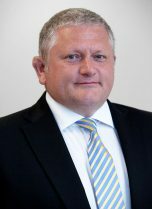 He is also experienced in the provision of non-contentious dispute advisory and claims services. He has been appointed as an expert witness on numerous occasions and has testified. Zane has worked on matters before the UK High Court as well as in DIAC, LCIA and ICC arbitration forums, and in mediation. He has also been involved in Adjudication proceedings both in the UK and overseas. Expert reports, joint statement and oral testimony in an ICC arbitration relating to the construction of a 500 MW gas fired power station. Expert report in a DIAC arbitration relating to the construction of an international airport. Co-appointed expert in an LCIA arbitration relating to the construction of a Jack-up Drilling Rig in Kazakhstan. This is an ongoing matter. Co-appointed expert in an ICC arbitration relating to the construction of an international airport. This is an ongoing matter. Appointed by an international steel work contractor to produce an extension of time and additional costs report relating to the construction of the worlds largest observation wheel. Appointed by the quasi-Government Client / Developer to produce a preliminary independent assessment as to the causes of delay on a luxury residential conversion / refurbishment project. Appointed by the main contractor to produce an extension of time claim relating to a road and bridge remediation project. Appointed by an EPC contractor to provide strategic advice, including independent third party verification of claims, relating to the construction of a power and desalination facility. Appointed by a steel work contractor to produce an extension of time and additional costs claim relating to the fabrication of modularized jacketed pipe units. Appointed by an investment house to asses and calculate damages related to construction delays, incomplete / defective work and manufactured product quality issues relating to a glass fibre manufacturing plant. Appointed by the main contractor to produce a delay and disruption claim relating to the fabrication and erection of the pre-cast-concrete super structure elements on a 6000 unit residential development. Seconded into a family business which was going through financial re-structuring as acting head of asset delivery and risk management. The role involved claims and dispute management as well as ADR and strategic advice.